When I discussed running Stealth Train at the weekend, I also mentioned Selfless and Selfish Successes. I just wanted to cover that topic in a little more detail. Essentially, I didn’t want success to be anything but. When you get the 7 needed for success, I didn’t want anyone to run away with it. If you roll a natural 7, you succeed. Period. If you play a card before you roll, then roll 6, 7 or 8 – you also succeed. It isn’t a natural success, but you do succeed. If you play a card, make your roll and you don’t get 6, 7 or 8, you have your team mates to fall back on. Every player character has a pool of counters – some Power, some Access. Power denotes personal expertise, skill, gadgets – anything within your control. Access denotes all those things working in your favour, yet outside your control – like favours, luck, preparation by outside agencies, complex protocol subroutines and so on. Someone (or thing) outside your direct control steps in and lends a hand. When a team mate helps you, they find it easier to weigh in personally. They can spend Power on a 1-for-1 ratio to adjust your roll. If they choose to spend Access, it works out 2-for-1, as their luck, contacts, or shadowy associates have less reason to step in to assist. However the help arises, this adjustment can carry you to the magic 7 and success. No doubt about it, you will have succeeded. Period. Here we enter the world of ‘Yes‘, ‘Yes and…‘ and ‘Yes, but…‘ – depending on what happens next. 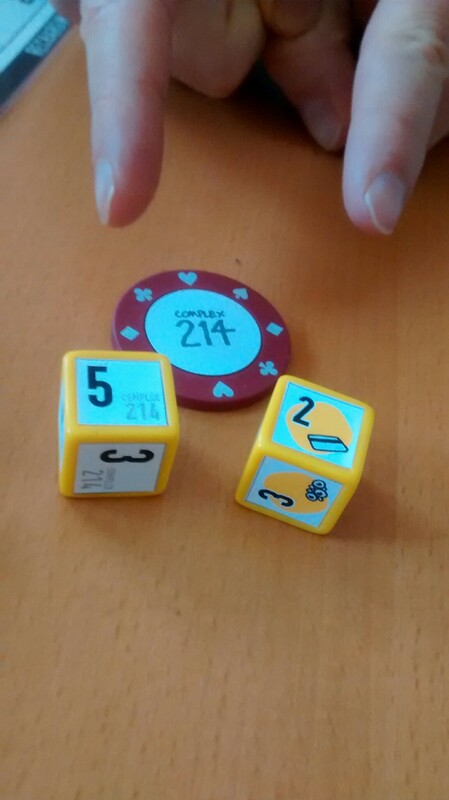 The team mate spends the points and hands over the tokens from their pool, then picks up a Success Counter (or rolls a Success Die, I haven’t decided yet!). The Counters have values of: 1 Access, 1 Power, 1 Access or Power (2 of these), 2 Access, and 2 Power. In combat, opponents have their own Pools and these values will deduct from those. Generic mooks will take damage from anything, Access or Power. A powerful villain might have a master plan that means you can only defeat her with Access damage. In non-combat challenges, you will need either a generic success or a specific value of 1. Getting through a door might take generic success, while defeating a locking protocol subroutine would demand Access. Anway, when the team mate picks up the Success Counter they need to choose either a Selfish or Selfless Success. A Selfless Success means they use the value to complete the task and don’t hold back. If they’ve just helped you shoot someone, say by spending Power to help guide your aim, a Selfless Success means the full counter value comes off the opponent’s pool. If you shoot someone or complete a task that needs a value of 1, that’s a ‘Yes’ Success. If they complete a basic task, but pull a Counter with a value of 2, that will be a ‘Yes and…’ Success, as you have more than you need. A Selfish Success means they withhold the value of the Counter. In this case, you Succeed, but… So, you might shoot your opponent square in the chest, but it does nothing but distract them or forces them to change tact or direction. You don’t hurt them. If you’re hacking a computer system, you manage to divert the route of Transport Alpha-2C, but it trips a security protocol or logs the illegal entry, alerting a SysOp next time they check. The Success Counter adds to the value of the character’s relevant Pool, or they choose to refill Access and/or Power where given the choice (and the value) to do so. In practice this might seem like a way to stall and refill spent pools. I don’t that will work, as the random Success Counter value and the unpredictable dice rolls make this an inefficient approach. Most opponents or challenges will have plans or deadlines of their own. Your traitorous enemy won’t stand by while team mates support and refill their pools. During the Complex 214 session, the business of team mates buying success arose infrequently. The alarming success of one player – the Team Leader – in rolling natural 7s made it unnecessary. When she didn’t roll them, she spent a card and grabbed success with a 6, 7, or 8. Confounded dice! When it finally happened, we’d entered the end game and somehow the team had bonded enough for trust and mutual support to seem the natural way forward. I shan’t allow that to happen again!